Light your angel's love nightly for everyone one to see, keep their spirit close and spark their memory. 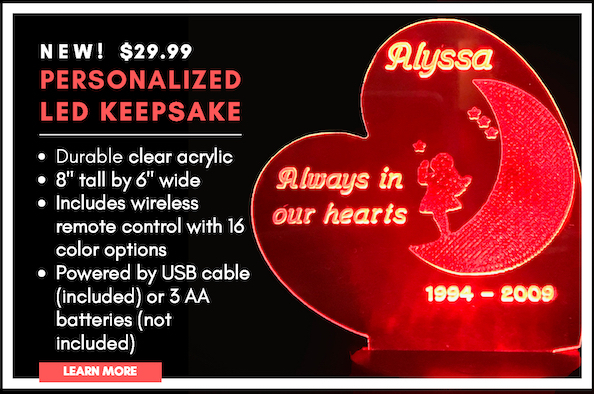 The Burning Flutterbye Guardian Angel Wing Votive is to be lit by anyone who is remembering their Angel in Heaven. Light your angel's love nightly for everyone one to see, keep their spirit close and spark their memory.